Venera Fanning was last seen falling into nothingness at the end of Sun of Suns. 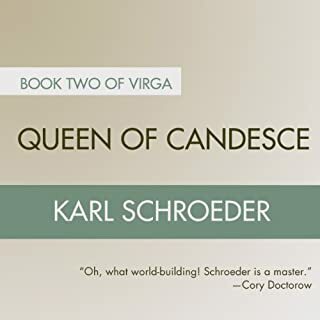 Now, in Queen of Candesce, Venera finds herself plunging through the air among the artificial worlds of Virga, far from home and her husband, who may or may not be alive. Landing in the ancient nation of Spyre, Venera encounters new enemies and new friends (or at least convenient allies). It is the distant future. The world known as Virga is a fullerene balloon 3,000 kilometers in diameter, filled with air, water, and aimlessly floating chunks of rock. The humans who live in this vast environment must build their own fusion suns and "towns" that are in the shape of enormous wood and rope wheels that are spun for gravity. When 17-year-old Toby McGonigal finds himself lost in space, separated from his family, he expects his next drift into cold sleep to be his last. After all, the planet he' s orbiting is frozen and sunless, and the cities are dead. 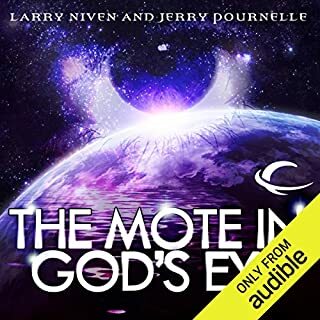 But when Toby wakes again, he' s surprised to discover a thriving planet, a strange and prosperous galaxy, and something stranger still - that he' s been asleep for 14,000 years. Welcome to the Lockstep Empire, where civilization is kept alive by careful hibernation. Here cold sleeps can last decades and waking moments mere weeks. 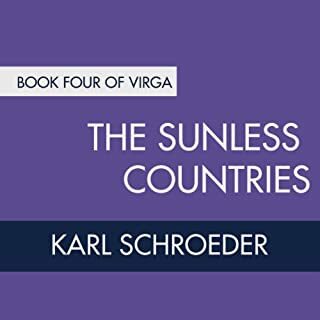 Return to Virga, a bubble universe artificially separated from our own future universe and the setting of Sun of Suns and Queen of Candesce. Schroeder sets a whole new standard for hard sci-fi space opera. 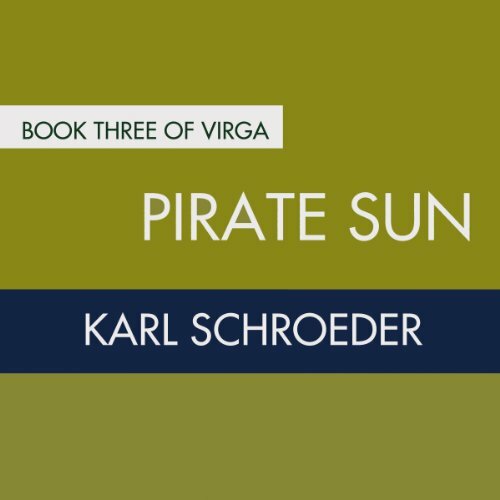 Schroeder should win an award just for the sheer imagination displayed in this third book of Virga. The author obviously enjoys putting his characters in strange situations just to challenge his writing abilities . . . and he never disappoints. This book has a dragon unlike any dragon you have ever read about before, a chase scene unlike any chase scene, a flood unlike any flood . . . and that's just three examples. The book is chock-full of images and situations that are absolutely fresh and unique. Schroeder follows CS Lewis' advice, making me see in my mind what he is describing, no matter how unusual, rather than taking the easy way out and merely saying something is &#8220;terrible&#8221; or "infinite." With just a few words or sentences, he can make me inhale sharply at the terror on the page, or shake my head in astonishment at the enormity of the vista he has laid out. Add in great characters and a fast-paced story and you have a book that should not be missed. 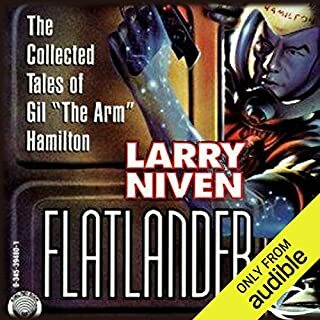 Excellent narrators. 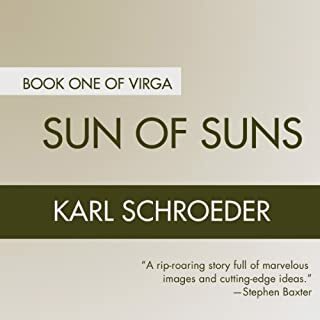 This is the third book in the Virga series, each of which has focused on a different character on the same continuing journey begun in the first book. As always, these books continue to amaze as examples of world-building. The novels are set in a scientifically plausible giant artificial gas bag in freefall, containing many small suns. Even if you are bored of sky pirates and rotating towns by this third novel, Mr. Schroeder has new amazements -- precipice moths! underground currency that gives license to commit crimes! battles between giant towns slowly sent crashing into each other, whole populations leaping from one house to another! There is plenty of the old sense-of-wonder going on here. And yet, the plot of the book is a Hollywood action movie, specifically the kind of good-natured adventure movie of the old school - the hero is constantly in the right place at the right time to witness amazing things. Narrow escapes abound, nobility is a key virtue, and incredibly staged fights are common. The result can be a bit charactured at times, but is almost always thrilling. The character at the heart of this book, however, is the least fascinating of the lot, but still quite interesting, overall. Start with the first novel - you'll enjoy this by the time you are three books in - it is well worth it. I wish productions would stick with one narrator. These amazing performers create new voices for each character but it's very hard for two narrators to do the same voices. Get them together and have the man do the men and have the woman do the women! The male narrators seem to be able to do female characters better than the women can do men. I'm curious if women listeners agree of think the opposite.